With 78 per cent schools in Odisha not having a playground, the fresh guidelines issued by the government for release of sports grants to these schools is nothing but a cruel joke on these educational institutions and their students. In line with the instruction from the ministry of human resources and development, the state government has issued guidelines last week to release sports grants to all government schools in the state. As per the guideline, a grant of Rs 5,000 will be provided to primary schools, Rs 10,000 to upper primary schools and Rs 25,000 to the secondary and senior secondary schools every academic year from 2019-20 academic session on-wards. The schools will utilise these grants to purchase indoor and outdoor sports equipment and encourage children to take up sports. However, the School Monitoring Application of the Odisha government developed by the school and mass education department with the help of National Informatics Centre (NIC) exposes a bleak scenario of sports infrastructure in schools in the state. The data collected by the government from as many as 41,894 schools reveals that a whopping 32,677 schools, that accounts to 78 per cent, have reported not having playgrounds or are having grounds which are not in usable condition. The data reveals 94 per cent schools in Sonepur don't don't have 'usable/functional' playground. Likewise, the percentage of such schools is 93 per cent in Rayagada and Kalahandi, 91 per cent in Balangir and Nuapada, 89 per cent in Koraput, 87 per cent in Kandhamal, 86 per cent in Bargarh ad Sambalpur and 84 per cent in Kendrapara. 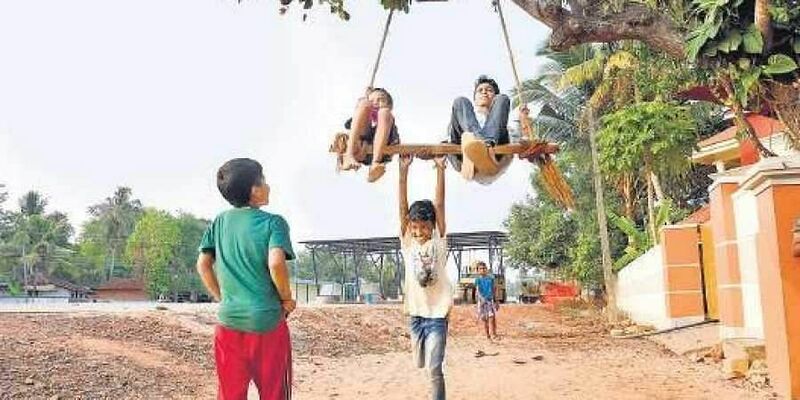 Ganjam, the home turf of Chief Minister Naveen Patnaik, doesn't have playgrounds in 78 per cent schools while Keonjhar, the district of School and Mass Education Minister Badri Narayan Patra, doesn't have playgrounds in 77 per cent schools, the School Monitoring App data suggests. In such a scenario, questions are being raised on whether the funds sanctioned for purchase of sports equipment will serve the real purpose.